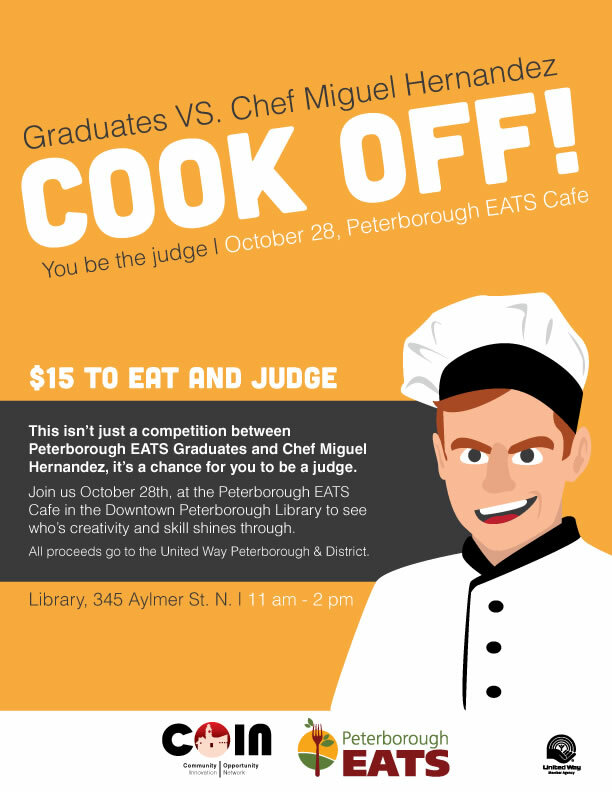 On Oct 28, The Peterborough Public Library was the site of a fierce competition between Miguel Hernandez and his graduates! After a close battle the students emerged victorious. Thanks to Peterborough EATS for using their delicious talent to support their community. All proceeds from the event donated to United Way Peterborough & District and COIN. Local Giving. Local Results. Your support makes everything possible. 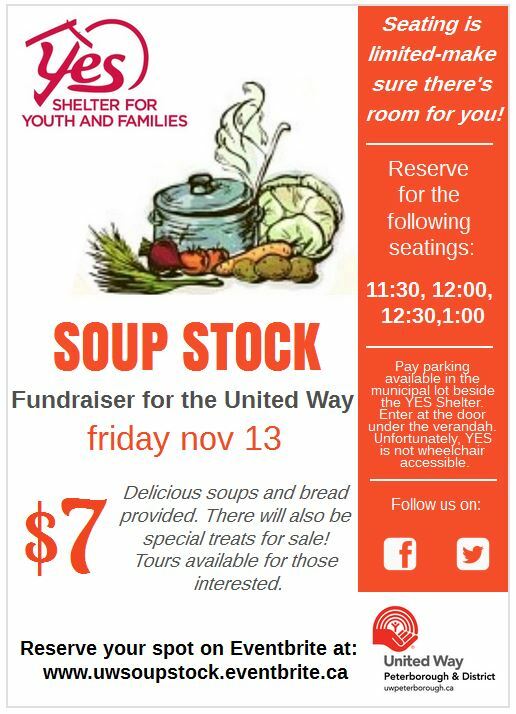 On Friday, Nov 13 YES Shelter for Youth and Families hosted Soup Stock for United Way. Thank you YES Shelter for the delicious lunch. 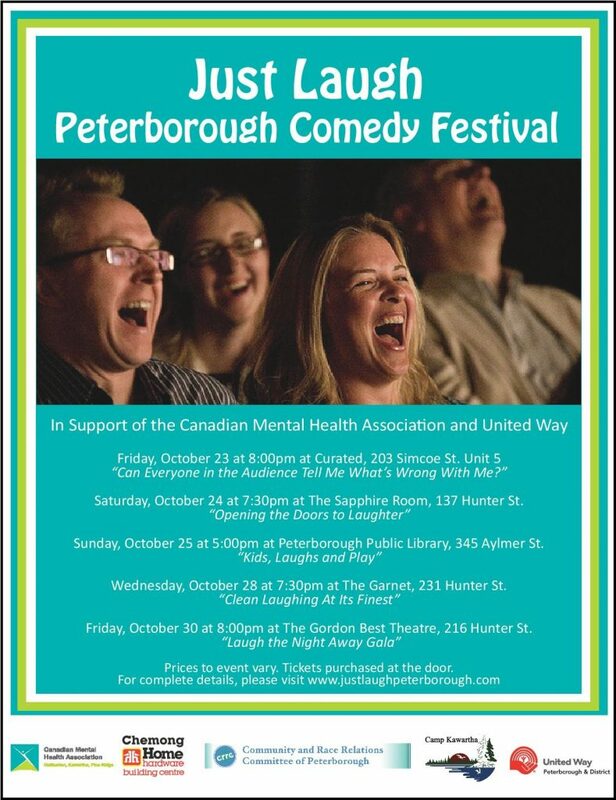 Thank you to all who worked hard to make Just Laugh: Peterborough Comedy Festival a success! United Way Peterborough & District works hard to ensure your donation makes the largest impact within the City and County of Peterborough. See our Impact Report Card for more details. Thank you to all the organizers, volunteers and those who joined us for the MNR Halloween Haunt. 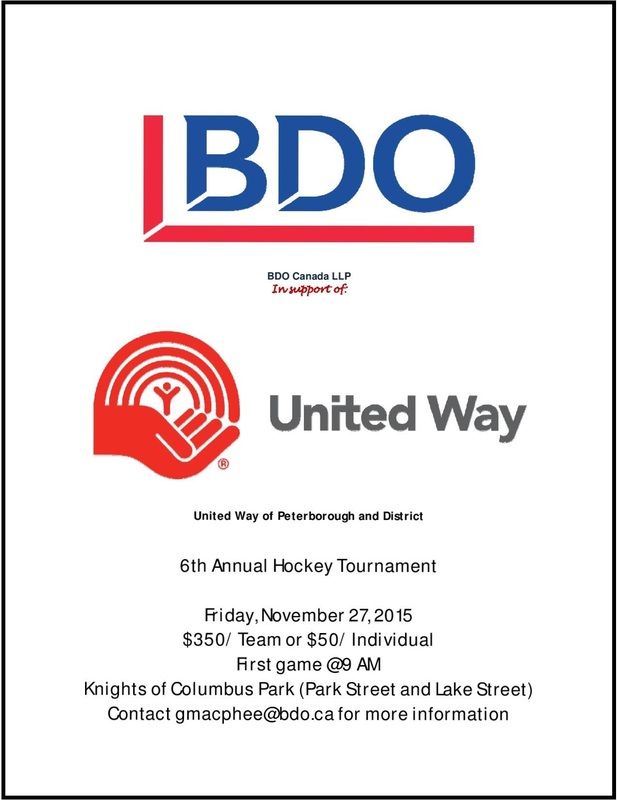 BDO hosted their 6th Annual Hockey Tournament in support of United Way Peterborough & District. Participating teams included BDO, DM Wills, Discovery Dream Homes, RBC, TD, ReMax, ScotiaBank, Park Place Financial/Freedom 55 Financial and Unimin Canada. Thank you to all the organizers and participants for another fantastic tournament. Special thanks to Three Roads Farms, Johnny on the Spot, Timber Mart Peterborough and Boston Pizza (Lansdowne) for their support. Siemens makes a splash with the launch of their 2015 Workplace Campaign! Volunteers braved the chilly weather and a dunk tank to raise funds for United Way Peterborough & District. Thank you Siemen’s for your enthusiasm, hard-work and continued support! 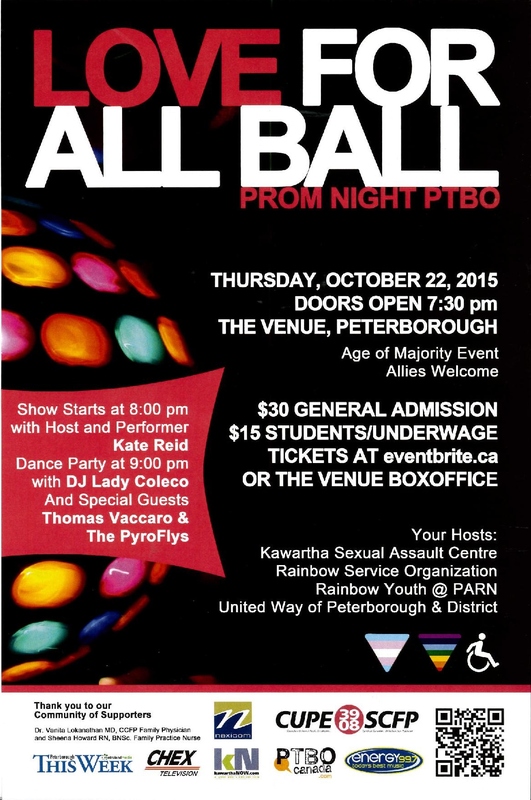 The Love for all Ball was an inclusive event that took place October 22 7:30pm at the Venue. Featuring Kate Reid as host and performer with special guests Thomas Vaccaro and the PyroFlys. 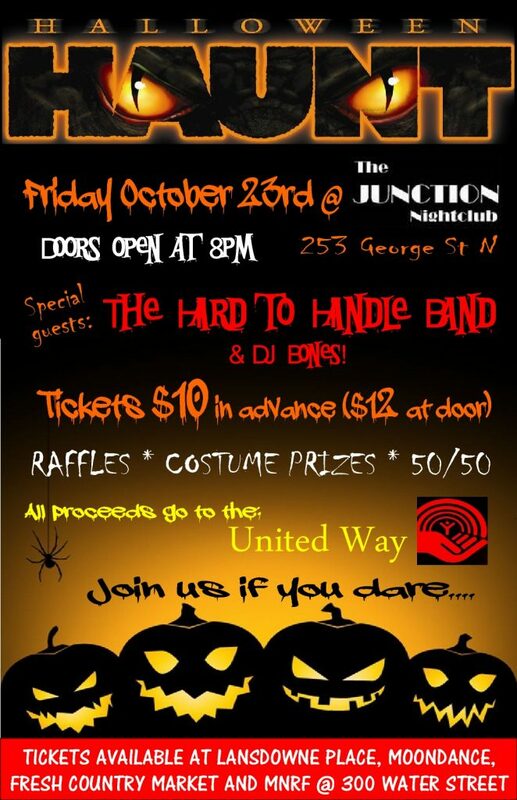 Hosted by Kawartha Sexual Assault Centre, Rainbow Service Organization, Rainbow Youth @ PARN and United Way Peterborough & District.